How many shops does Alpine Bikes have at present? We have six shops at the moment in Aberdeen, Edinburgh, Inverness, Innerleithen and two in Glasgow. Are there any plans to add to the number? We are opening in Perth this October in an exciting new unit, and in a great location. And how is business? Did the snow impact on sales? The snow had a big effect for us in late December and early January. We have seen strong sales in February coming from the fact that people could not get out on their bikes and are now taking advantage of the improved weather. Overall, 2009 was a very good year for us, one of the best in the firm’s history. What’s going to be the biggest story from Alpine in 2010? We will be building on a strong opportunities in new product ranges and in different locations. Alpine was bought by Tiso in 2006 – how have things changed since then? The company has changed very little since becoming part of the Tiso Group in terms of service, range and focus. What has changed is that by being part of a larger group, Alpine is in a much stronger financial position to expand, either organically or through acquisition. Do you specialise in a sector? Alpine has always had a strong mountain bike focus. We have a core stock, but all our stores are in very different locations. In some we focus on road, in others downhill and others commuting. We are stocking some from Trek. How does Alpine market its shops? Sponsorship? Radio? This year we are focusing on sponsoring events and are proud to be involved with many great events in Scotland, from the World Cup downhill at Fort William to the Pedal Scotland Edinburgh and the Glasgow bike ride. We use many forms of media to promote our sales and promotions including press, radio and online. How much of the business revolves about the workshop? The workshops of all the shops are important both from a customer service point of view and sales. Is it tough to run an online portal as well as a bricks and mortar business? Alpine Bikes, one of the biggest independent cycle retailers in Scotland, was founded in Aberdeen two decades ago by Dave McKay. In 2006 Alpine was bought out by Tiso Group – an independent outdoor retail chain also based in Scotland and founded in the ‘60s. At the time of the uy out, Alpine’s turnover was reported to be £3.5 million. 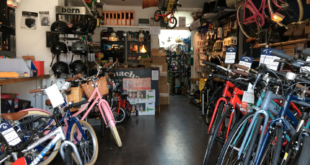 The retailer only entered the online space in 2008 – at www.alpinebikes.com – with the firm telling BikeBiz at the time: “It may have taken us a while to join the online marketplace, but it was imperative to us that our online offering was synonymous with our offline core values. 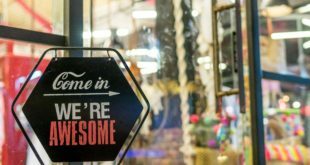 “We wanted to make sure that our customers would have the same unique experience online as they do in any of our shops throughout Scotland."